2 seater sofa designed by GuillermoT. 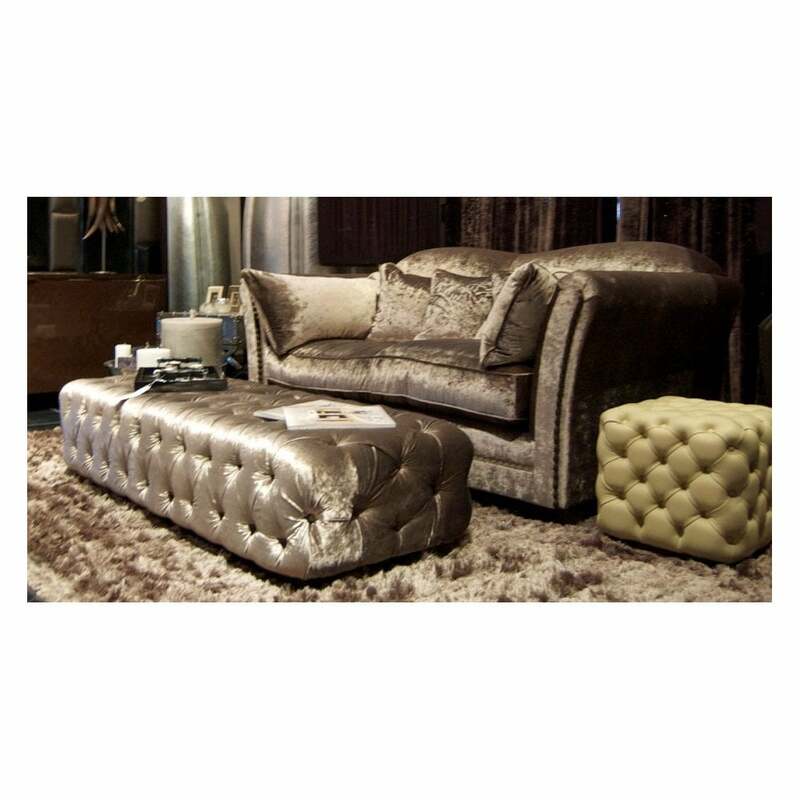 The Charles has a traditional style with a curved back and stud detailing, which is contrasted here by a modern, silver fabric - Uber luxurious. Matching poufs also available.